The Sporting Statues Project records and researches statues of sportsmen and women around the world. Since 2010 we have published several academic papers and magazine articles, and collected information on over 1000 statues. 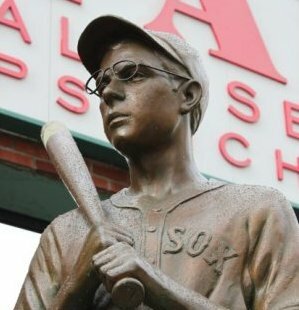 This website displays databases for all UK sporting statues, US baseball statues, world cricket statues, and world football statues. These are updated every two or three months. For more regular news on new and planned sports statues, interesting example of the genre and new photos, follow us on Twitter. If you have any information, corrections or photos to contribute, or are organising a statue project yourself, we would be interested to hear from you. Likewise we are happy to be interviewed for media coverage around the subject and welcome offers for collaborative research or articles based on our database. As well as the information showcased here we have many hours of interviews with sculptors and project organisers, more detailed information on many of the statues featured, and a wealth of contacts. Similarly, all photos featured on this website are copyright of the photographer. Thank you to everyone who has supplied photos, information, interviews, research advice and support throughout the course of this project.